This whole-school one day workshop provides teachers with practical activities for immediate implementation in the classroom and provides leaders with strategies to develop a whole-school approach to differentiation. 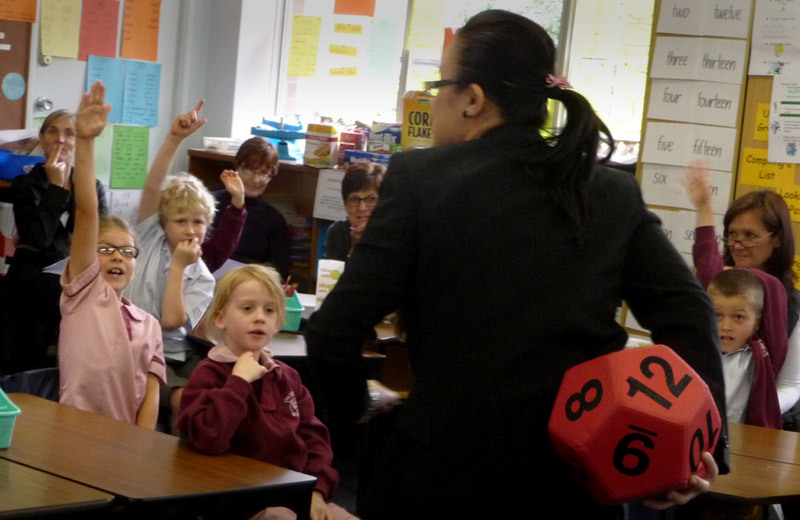 The presenter, Anita Chin, will model how she teaches directly from the online NSW Mathematics K-10 Syllabus for the Australian Curriculum showing how the ‘big ideas’ for Number and Algebra develop K-8, and how concepts connect across substrands. Educators will be empowered with pedagogical content knowledge and appropriate tools to differentiate instruction to meet the wide range of needs and abilities in a mixed-ability and/or multi-aged classroom. black line master insert sheets used with student white board insert sleeves e.g. ten-frames, dot array, 1 cm area grid. Black line masters and links to resources provided.